In the basement of the roman theater of Ephesus, Turkey. 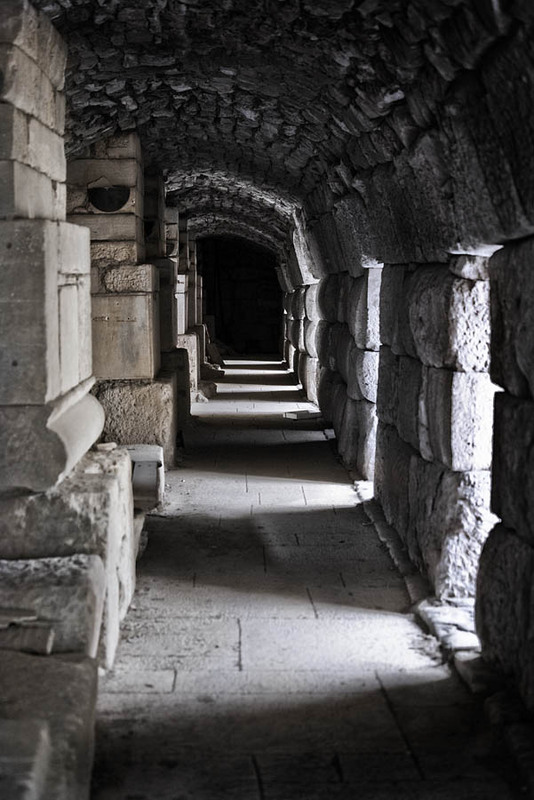 Maybe gladiators used that corridor in ancient times. What amazing photo's, I went on to the site because I was looking up "Wish Tree" and i found these pictures, so much so that I am am going to see if there are any photograghy classes in Doune. Thank you so much for sharing these photo,s they are just beautiful.Sue. Thank you for your nice comment. I am glad you liked the pics.Maybe a forum at photos.net can help you to find classes.